When you have a business, you have a place for your employees to gather on breaks, even if it’s the size of a half bath. Somewhere where a coffee pot sits, maybe a microwave is crowded onto a shelf, and possibly a mini-fridge where your employees can put their meals. No matter where I’ve worked, there has been some kind of set-up, whether it was grand or…not-so-grand. We have a pretty nice break room here at ReStockIt, and tons of coffee. That’s the important thing. We also have the basics like a full-size fridge, two microwaves, two toasters, a toaster oven, and this hot water thingy that the tea lovers use. Frankly, it scares me, but I don’t drink tea. We also have comfy chairs, a TV, an air hockey table…you get the picture. Most employers usually provide disposables, and personally I like knowing I don’t have to bring in my own plate, utensils, and coffee mug to get broken or, let’s face it, stolen. Not that we have cup thieves here, but it happens. Opening a cupboard in the break room and having a full complement of plates, bowls, utensils and napkins is a blessing! Some employers also provide food, which I think is fabulous but not in every businesses budget. I worked for a company that had a full cafeteria and that was amazing! There, the food was provided for us, but a friend of mine works for a company where they pay for their food at a deep discount and use their time badge to pay for it (it gets taken out of their paychecks), which I find very convenient. Cereal, chips, cookies, soups…even sandwiches and salads were provided! No matter what type of break room you have for your employees, take it from me, they appreciate the space! 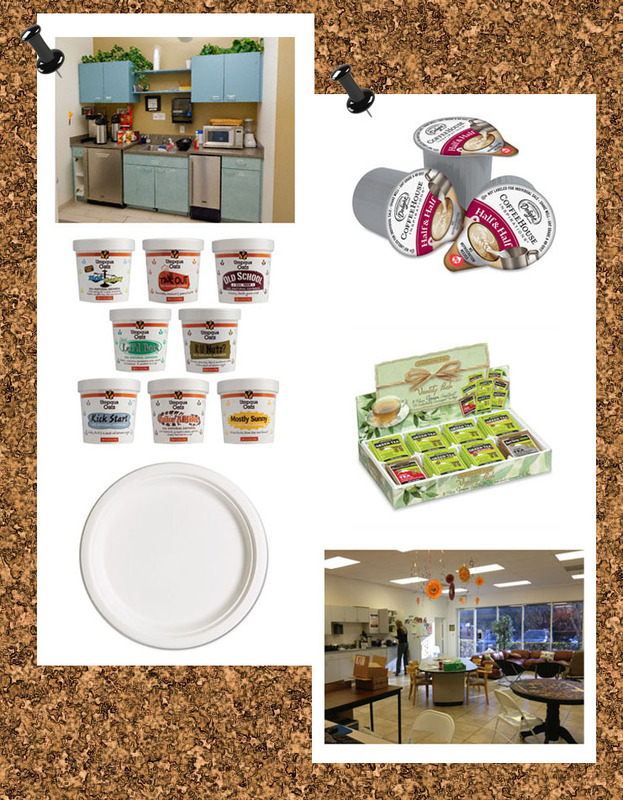 Check out http://www.restockit.com today for breakroom deals and discounts! Previous Post Picnic on Earth Day!